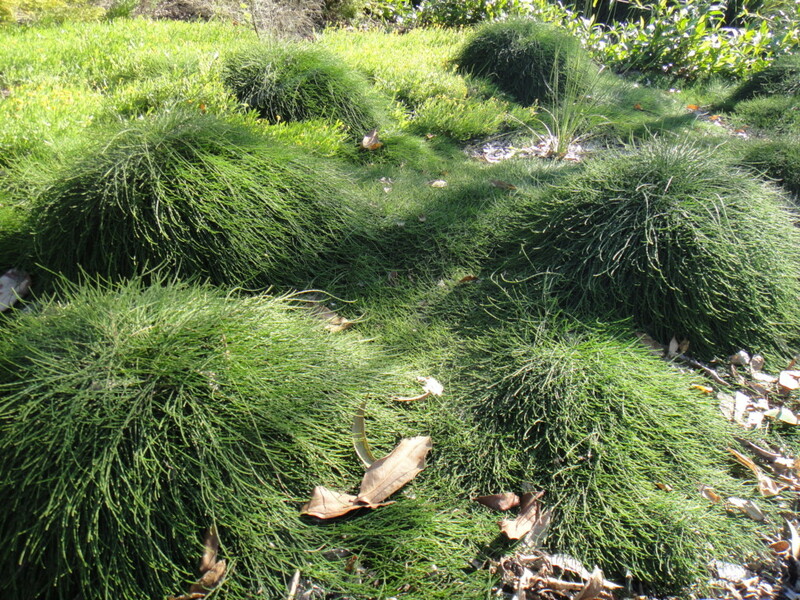 This wonderful Australian native ground cover, has recently been appearing within traffic islands around the Sunshine Coast. 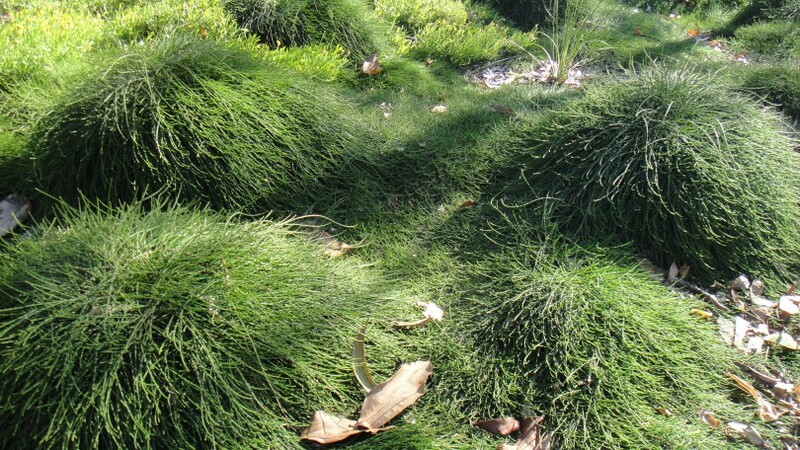 It is a very hardy, low growing ground cover that loves full sun. 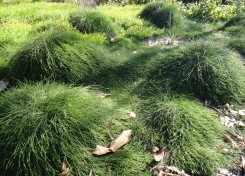 When planted in mass they appear as textured green humps, with a veil of fine leaf spreading out. 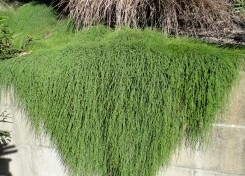 It’s an extremely versatile plant growing to only 100mm in height and spreading to around 1.5m. 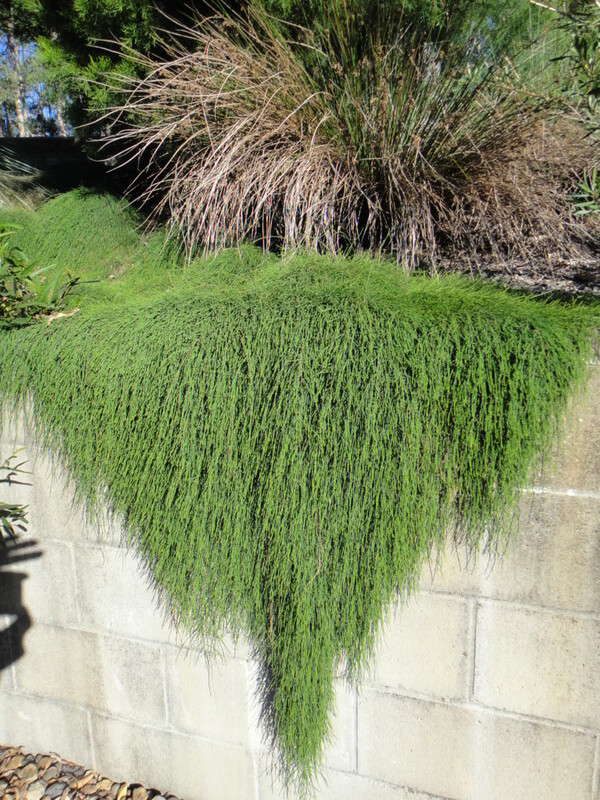 They look great cascading over walls or in mass.